up-date: they don’t want the location on the ‘web’. but, if you walk around the post office on Varick & 7th Ave – you’ll find it, happy hunting. PARKOUR – for HIPSTERS !!!!! YO, YO, YO ——- !!!!! TALKIN’ ABOUT . . . POP-UPS !!! DOWNTOWN . . . POP-UPS !!! 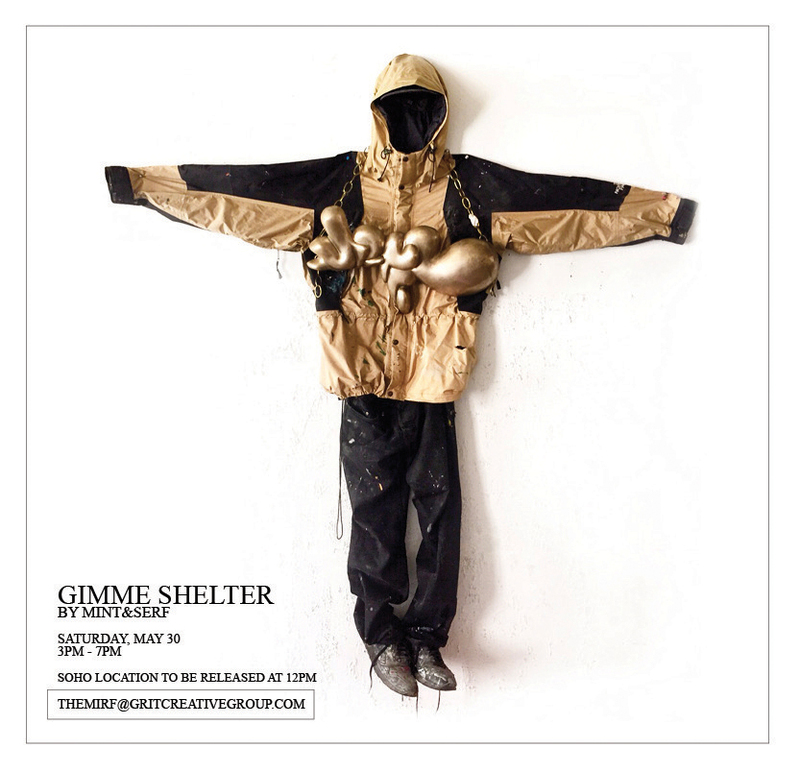 MINT&SERF PRESENT . . GIMME SHELTER – !! a one day pop-up exhibit in SOHO. FILE UNDER: what if . . . . ??!!! NUR KHAN recently told thethick.com – ‘Downtown New York is nowhere near as cool as it used to be’. .
“As tempting as it is to lament the ongoing gentrification of Downtown NYC, it is satisfying to look at the remaining bars, parking lots, garages and vacant buildings and think up some outlandish ideas. What if . . someone did a show at 190 Bowery ?, What if someone painted the ledge of the Canal and Walker St Building ? What if someone opened a tiny museum in an old elevator shaft in Courtland Alley ? tell me about it . . . !!!!! all it takes is ONE NIGHT – in this shaky, creaky, gritty and way down-low, and even, m-e-a-n !! town !! 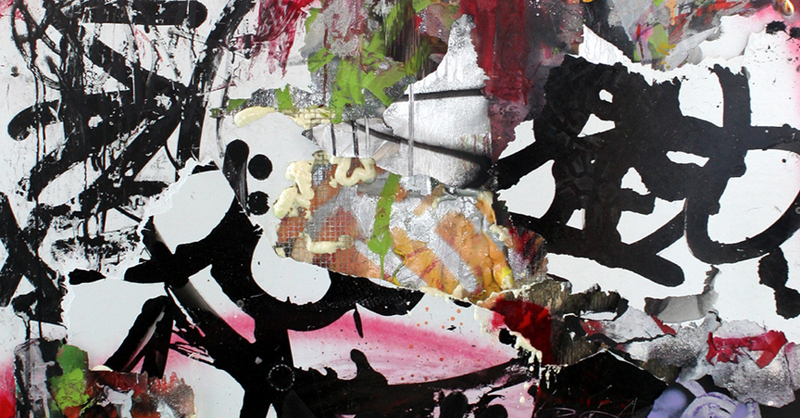 the underground scene – POP-UP, grab that space and run: is WHAT IT’S ALL ABOUT. a kind of art world urban jungle gym – game, let the pop-up games, begin !! !! ! !